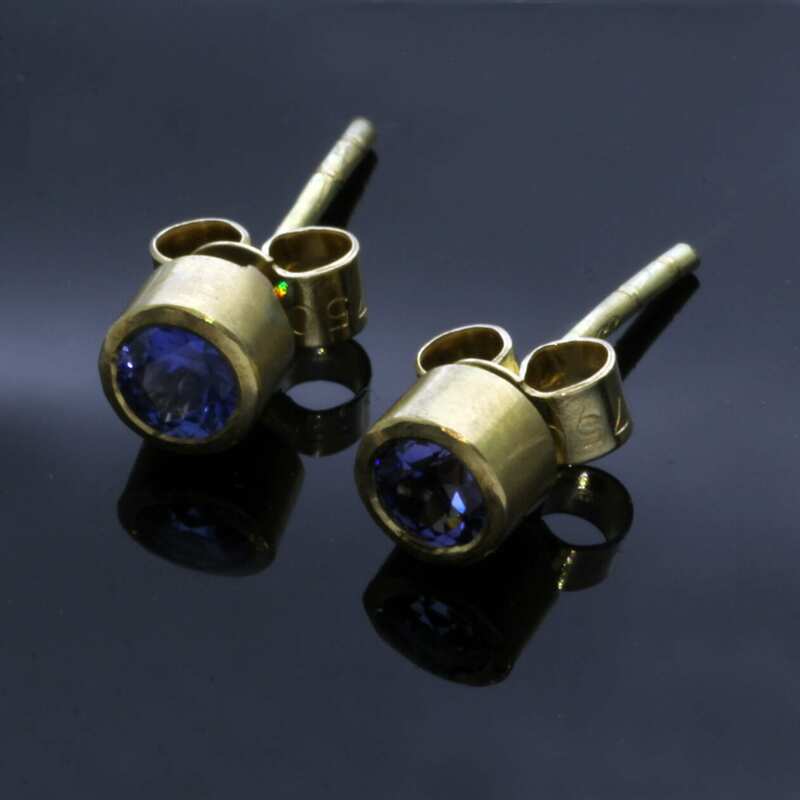 This chic, timeless earring design showcases a lovely pair of brilliantly blue Sapphire gemstones, expertly crafted by Julian Stephens from precious materials to create a clean, contemporary pair of modern stud earrings. 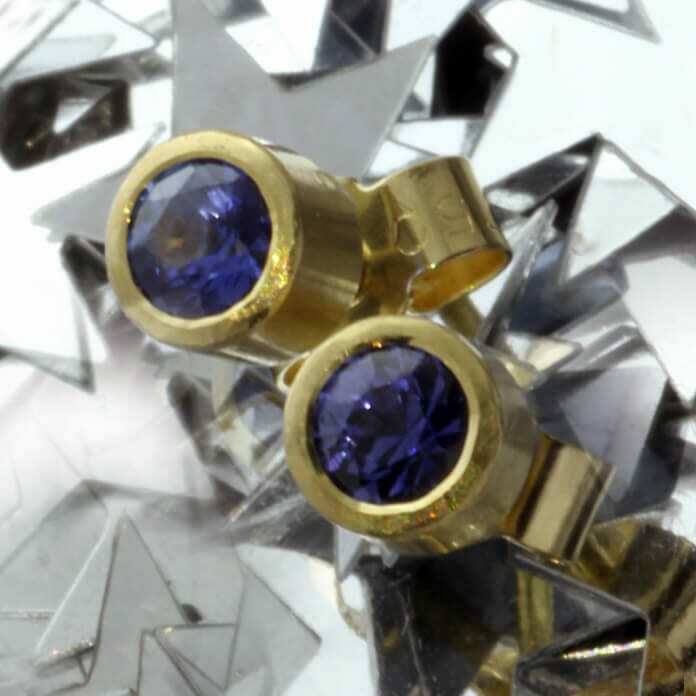 The pair of 0.9ct Round Brilliant Sapphire gemstones showcase a bright, eyecatching and vibrant shade of blue, perfectly enhanced by the solid 18ct Yellow Gold setting. 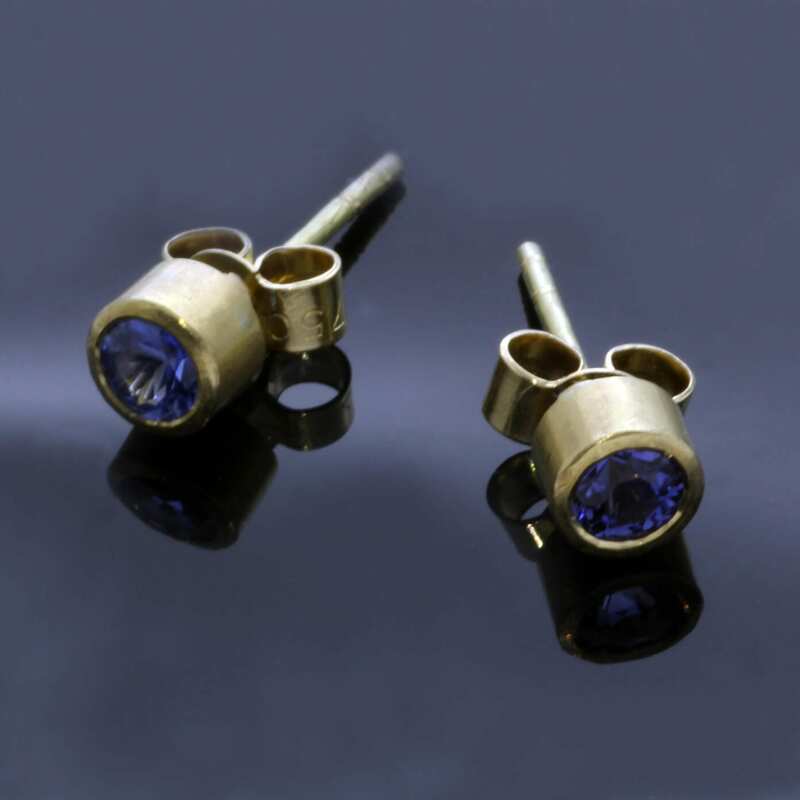 The Blue Sapphires are expertly flush set in solid Yellow Gold, finished with stud fixings and butterfly backs for pierced ears crafted from solid Gold. 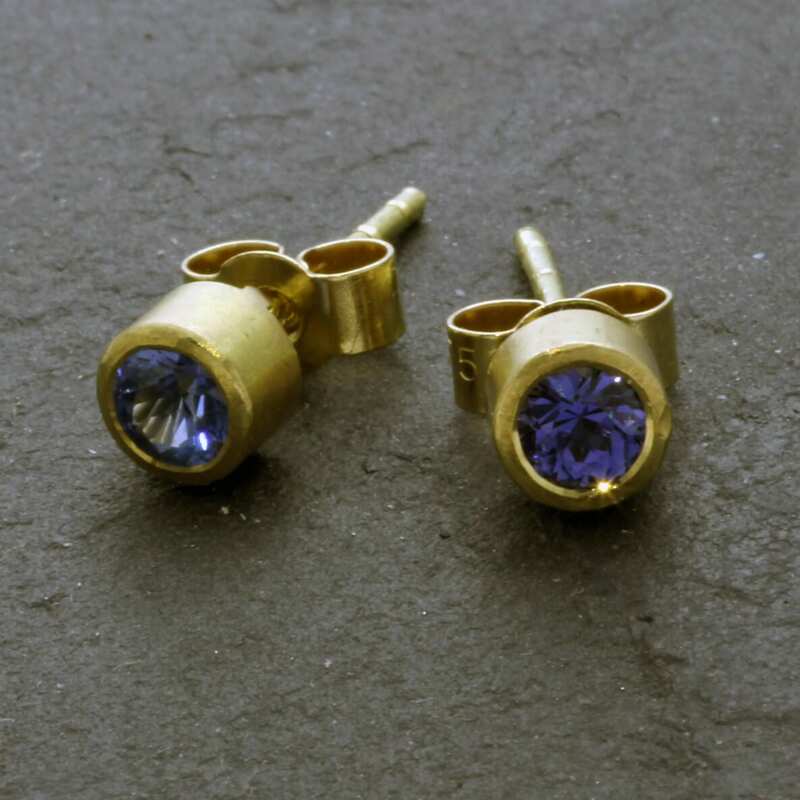 The lustrous, buttery Yellow Gold is hand finished with a high shine polish to the for a glossy finish to the design.